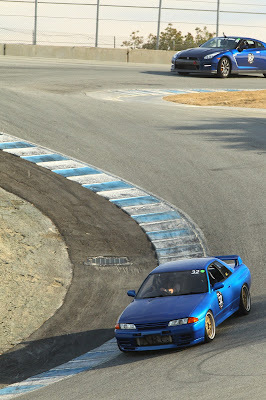 Interesting all the new development on the RB26, and GT-R platform. With the cars turning 25 years old, and legal to import to the USA, we are seeing a new bump in money being put into them. One thing many people ask about is the block. There are a number of blocks, from the standard 05U, to the RRR. 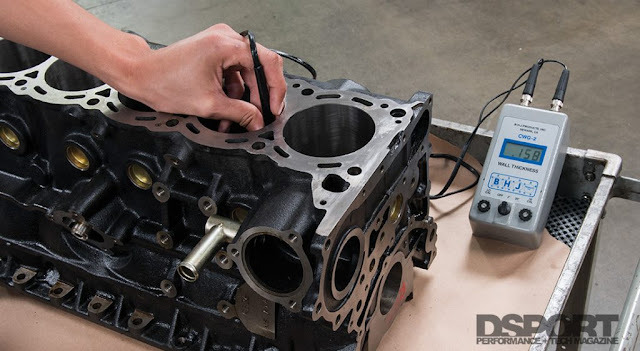 Dsport Garage measures a number of blocks and puts out the info in Issue #181 or online here. If you are building an RB, you have plenty of options. Since the price of used and new N1 blocks are higher than ever, you may want to consider having a standard 05U block sonic checked and offset bored to maximize the cylinder wall thickness on the overbored engine. This should be done only in the North-South orientation as you do not want to offset the cylinder position in reference to the crankshaft. While this won’t give the strength improvement from the higher nickel content (N1, RRR) in a premium block, it will still improve the overall strength of the overbored cylinder. In fact, having the cylinder bored so that the wall thickness is maximized in the process seems to be a valid protocol for any RB engine block. Hopefully, Club DSPORT will offer complete RB26 short block assemblies in the near future. Stay tuned. Motive Garage, and Platinum racing products also recently measured some blocks, so it will be interesting to see all the data complied from two different sources.